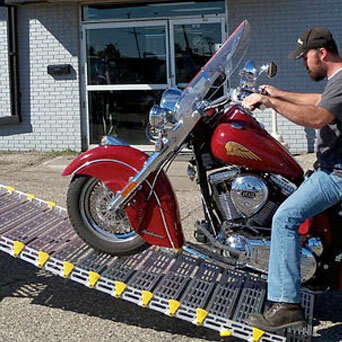 The only portable ramp that rolls up! 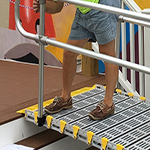 Roll-A-Ramp has several Unique Features, which makes it stand out from other ramps. 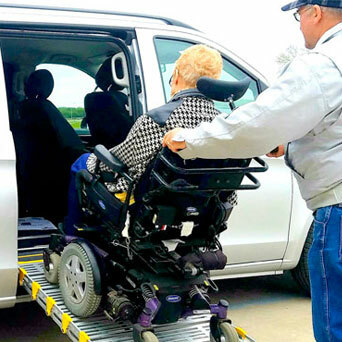 Rolls Up: The highly engineered design allows the ramp to roll up, just like a sleeping bag. 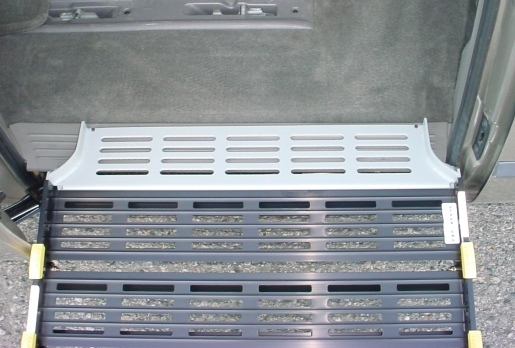 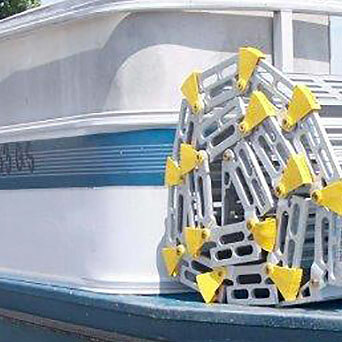 Once rolled up the ramp can be stored in the trunk of your car, on your boat, or in a closet. 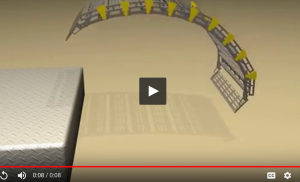 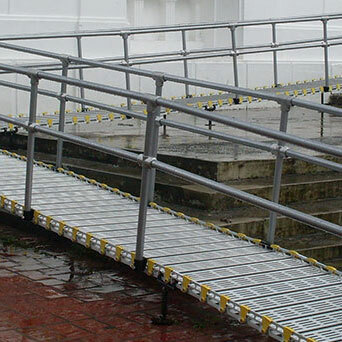 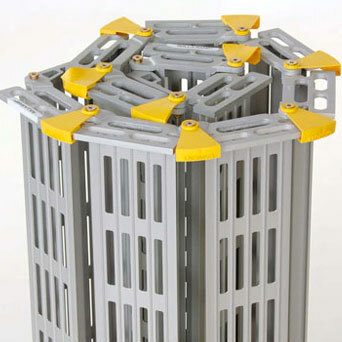 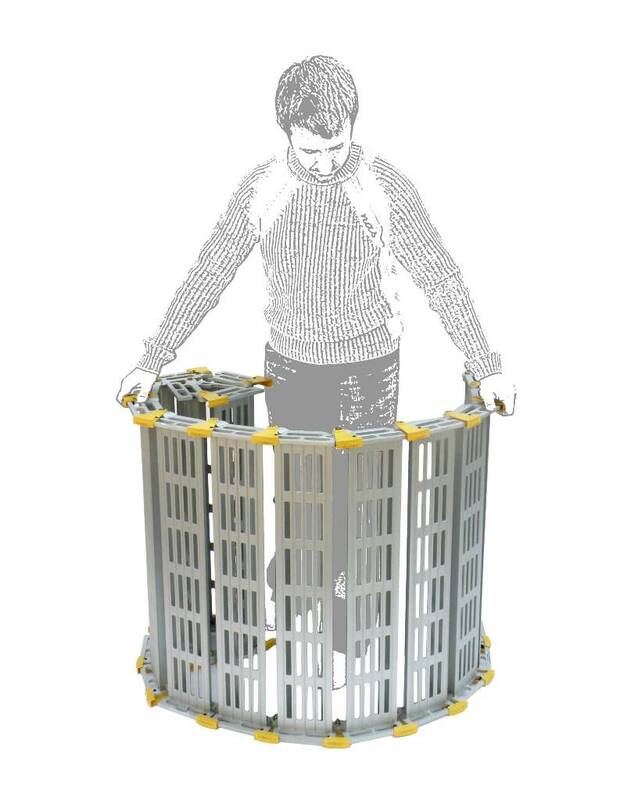 Link Construction: Each Roll-A-Ramp® is built in links, which allows us to custom make the length you need! 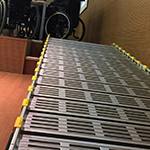 Ramps are available in six widths and can be any length in six inch increments. 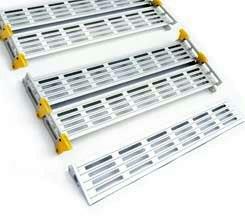 This also allows you to have multiple ramps in one. 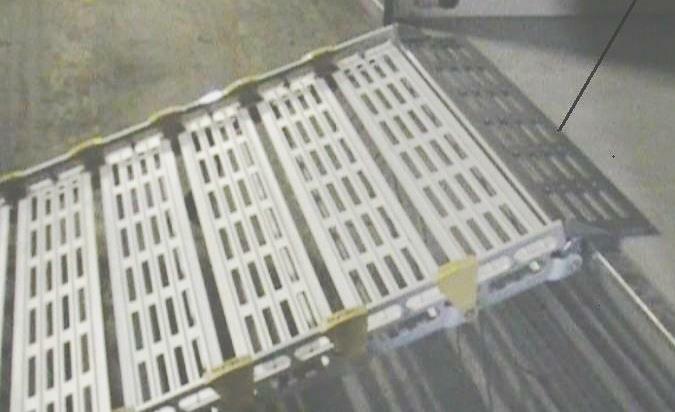 An 8’ ramp can turn into two 4’ ramps by splitting the ramp in half and adding additional approach plates. 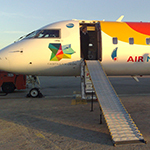 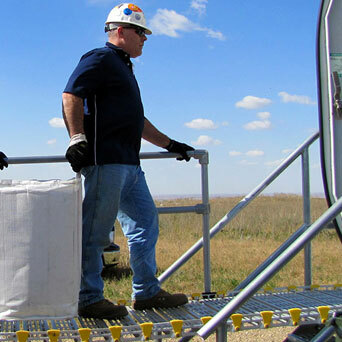 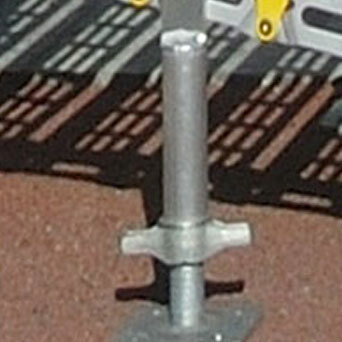 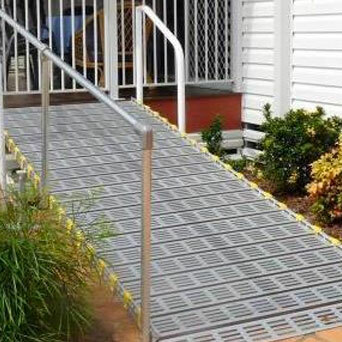 Lightweight and Sturdy: Roll-A-Ramp® is made from 6061 aerospace aluminum with a T6 Rockwell hardness. 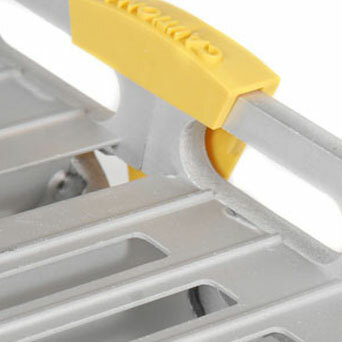 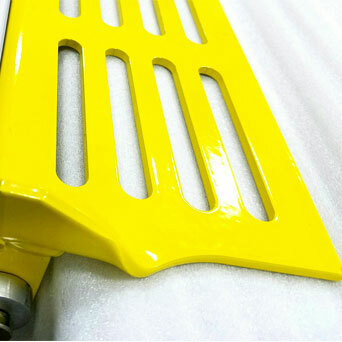 This means a superior weight to capacity ratio. 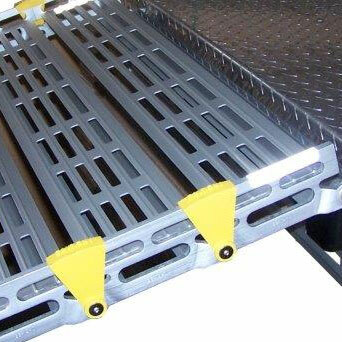 Ramps average 4-6 pounds per foot (wider ramps are heavier) making them easy to set-up and carry. 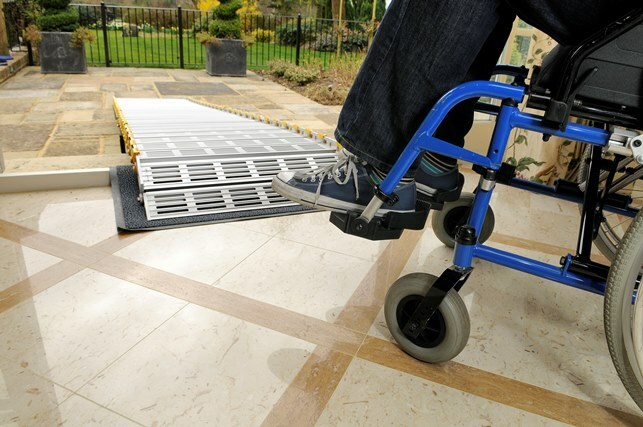 For example, a 30″ wide x 8′ long ramp weighs only 41 pounds yet will support 1,000 pounds! 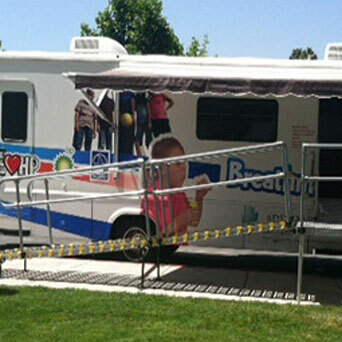 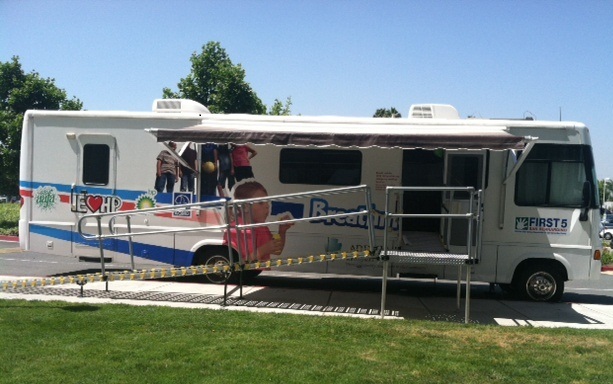 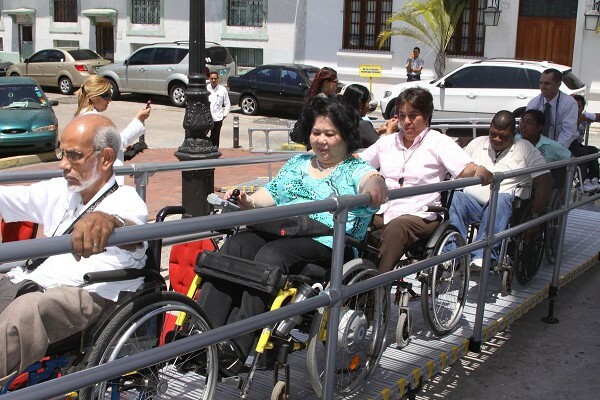 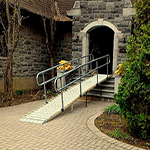 Placement Options: Because Roll-A-Ramp® is so versatile, there are multiple options for placing your ramp. 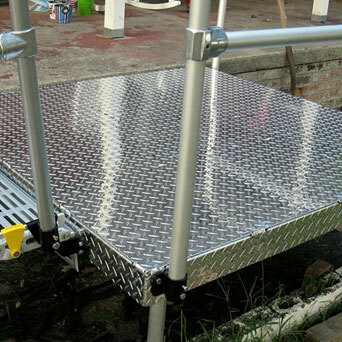 This versatility allows you to use Roll-A-Ramp® just about anywhere! 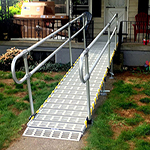 Customers use Roll-A-Ramp® for home or vehicle accessibility, gangways for boats, or commercially to more easily load trucks. 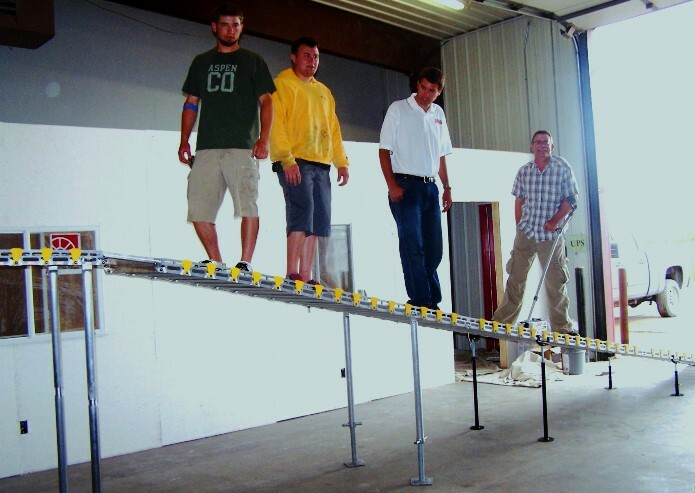 10-Year Warranty: We believe in our product so much that we offer a 10-year warranty on our ramps! 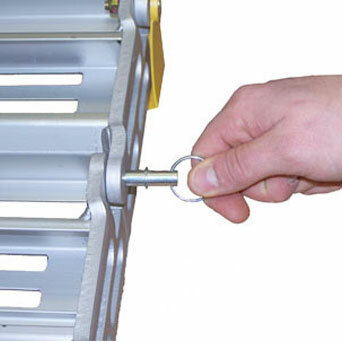 If anything goes wrong with your ramp (if a piece bends or breaks etc.) 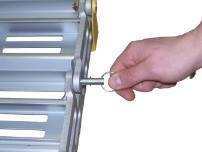 we will replace it hassle-free at no cost to you. 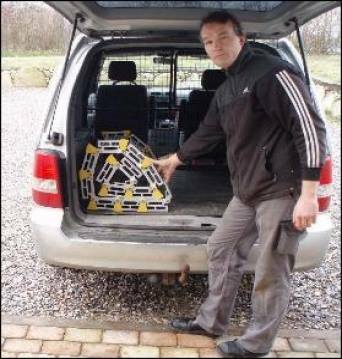 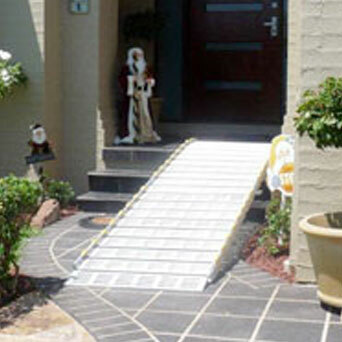 To the best of our knowledge, no other ramp company offers a warranty this comprehensive.